Does not respond to questions or requests in a coherent way. Vocalizes words but they are not logically connected to express thought. Appearance of visual & tactile hallucinations. The patient is not in touch with current reality and has symptoms of abnormal cognitive status. This is the definition of psychosis. Our initial nursing diagnosis is that the patient is at risk of deterioration or injury as a result of a psychotic condition. The first step in our plan is to place the patient in the inpatient unit, for safety, additional assessment and monitoring. See Chapter 12: Mental Health for more information about the assessment of psychosis including more detail about patients experiencing hallucinations and delusions. Disorganized thinking, incoherence or an altered level of consciousness (hyper-alert, lethargic, stuporous). Condition has deteriorated within the last 24 hours. Not responsive to questions or requests. The patient denied any history of alcohol or drug use when interviewed during receiving screening. Now that it is 72 hours later, his symptoms and their onset suggest alcohol withdrawal so we further assess the patient using the Clinical Institute Withdrawal Assessment of Alcohol Scale, Revised (CIWA-Ar). The results of this further evaluation lead us to conclude that this patient is in moderate to severe alcohol withdrawal. We call the provider with our findings and request treatment orders. The focus of treatment is to prevent seizures and to address fluid and electrolyte imbalances. The plan of care also includes serial assessments to monitor the patient’s status closely and a safe environment to prevent injury. For more information about the assessment and treatment of alcohol and drug withdrawal see Chapter 5 in the Essentials of Correctional Nursing. 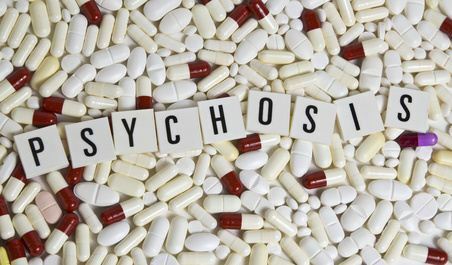 Always remember that psychiatric symptoms, such as psychoses, can be caused by medical conditions. When identified and treated these symptoms can be completely reversed. Objective, descriptive assessment, use of standardized screening tools and attention to the possibility of both medical and psychiatric etiology contribute to accurate clinical judgments. This entry was posted in Assessment, Mental health, Withdrawal and tagged Alcohol withdrawal, Catherine Knox, correctional nursing, Essentials of Correctional Nursing, Intake Screening, jail nurse, mental health, prison nurse, psychiatry. Bookmark the permalink.